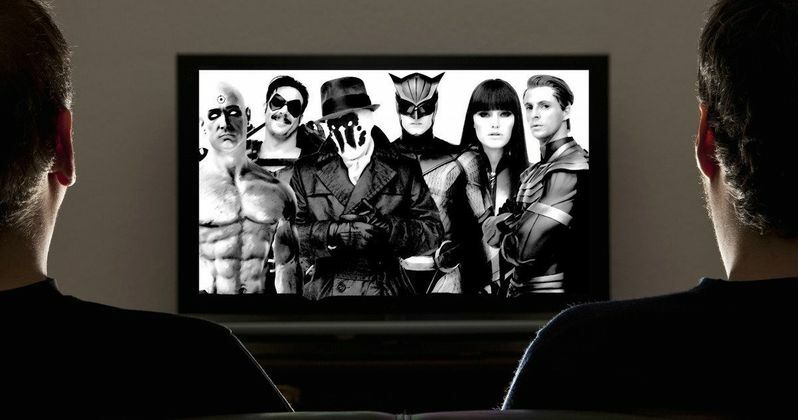 It looks like you'll soon be able to watch the Watchmen on the small screen, assuming all goes well. HBO has been working with Damon Lindelof (Lost, The Leftovers) on a TV adaptation of Alan Moore's groundbreaking DC Comics series. Details have been scarce, but HBO is at least going as far as to shoot a pilot for the Watchmen TV series. Now, thanks to a new report, we know that the show will begin filming in March of 2018. Here's what the folks at That Hashtag Show had to say about it. "We are happy to break the news that the network is moving forward with the pilot and all systems are go for it to begin filming in March, 2018." Talk of a Watchmen TV series on HBO first started back in 2015. At that time, it was Zack Snyder, who directed the Watchmen movie for Warner Bros., who was looking to re-adapt the comic book series for the cable channel. Those plans ultimately fell through, but over the past few months, Damon Lindelof has stepped in to take a stab at bringing Rorschach, Dr. Manhattan, The Comedian, Silk Spectre and Nite Owl to the world of television. As one would expect with a project like this, HBO and Damon Lindelof are staying tight-lipped about it. Though, with the project filming in just a few months, we're likely to hear some solid information, in terms of casting at least. Recently, there's been buzz that John Cena may be playing Dr. Manhattan, which already means we're off to a rather crazy start. Lindelof hasn't said much about his take yet, understandably so, but in an interview last month, he had this to say about why now seems like a good time to bring back Watchmen. "Watchmen was dangerous. The reason I'm doing this is because these are dangerous times and we need dangerous shows. What we think about superheroes is wrong. I'm all for Wonder Woman and Batman. I grew up on these characters. I love these characters. But we should not trust people who put on masks and say they are looking out for us. If you hide your face you are up to no good." Watchmen, as a movie, was not successful, bringing in just $185 million worldwide, working from a $130 million budget. However, the comic book series remains not only one of the greatest, if not the greatest, comic books ever made, but a cherished piece of literature in general. But Zack Snyder adapted it, in many ways, very faithfully in his movie. So how is Damon Lindelof going to make his version different? Will he make each issue an episode? Will he take some very serious creative liberties? We likely won't know for a while, but according to That Hashtag Show, HBO at least feels confident enough in the idea to shoot a pilot. Is John Cena Doctor Manhattan in HBO's Watchmen Series? What's Happening with the Watchmen TV Show?